Project Manager, Paul Coleman, updates us on things underground. The Folly is under siege, this time from below. We continue with the scientific approach of investigations and are radaring the ground for bunnies !! They may be cute until they dig too close to the walls with their burrows, forming an extensive network of tunnels which can and are causing problems with the stability of the walls. The area around the Folly is peppered with rabbit activity – what we’ve been doing is investigating where they are and how big their warrens are. But how do you check whether their tunnels are causing a problem or not and the extent of them. 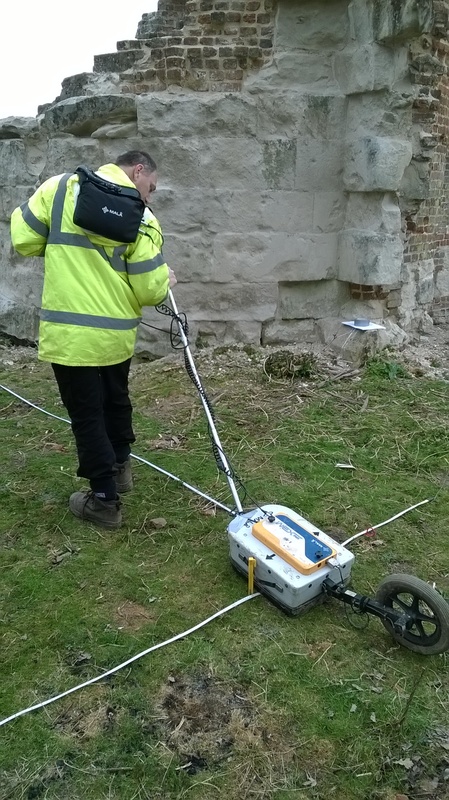 Well, just like on TimeTeam we are using specialists to see under the ground – Peter Masters of Cranfield University is our expert, using his specialist equipment which is dragged behind him to slowly show a picture of the ground around the Folly walls. 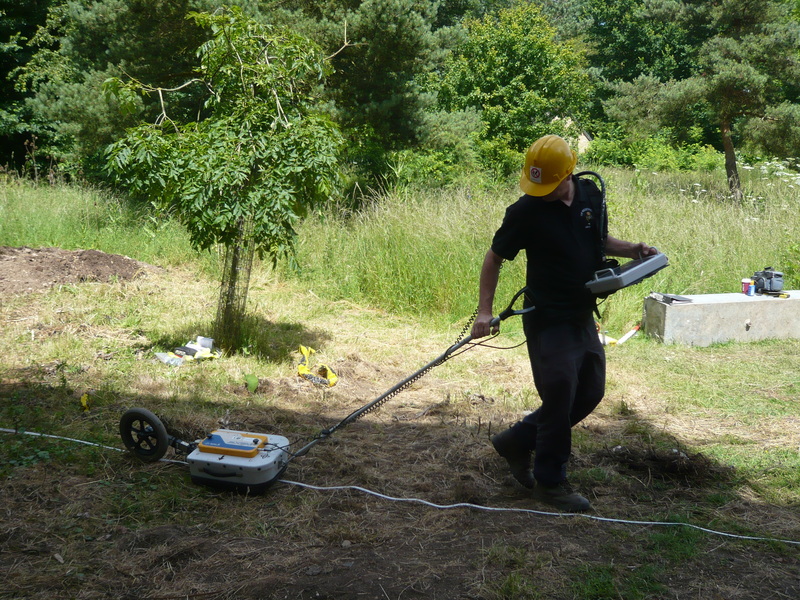 He is using a technique called Ground Penetrating Radar (GPR), which send electro magnetic pulses to the ground which are bounced back to the receiver and allows us to map out structure and features buried below us. Some of the holes are ok and not causing a problem but we’ve found 2 areas which will need to be stabilised. Not only have we found bunny hotels, it has also shown areas of previous buildings (now long gone) which were located around the Folly – we believe these to have been the old animal pens when the Game Keeper was in residence. This entry was posted in Buildings, Conservation, Landscape and tagged archaeology, cambridge, cambridgeshire, Folly, landscape, wimpole by ntwimpole. Bookmark the permalink.